Adding a video feature to online dating sites is a terrific new concept. Imagine dating site members having the ability to appeal directly to potential dates with videos? Problem solved for the seniors who don’t write particularly well and those who don’t like to read profiles. And for outgoing men and women anxious to demonstrate a high level of self-confidence, a video opportunity is a dream come true. I remember a local dating service before the Internet called Great Expectations in Sausalito, California. Members recorded a five-minute piece about themselves on an 8-track tape, which was then put in a library where members could view each other. It was cumbersome but it worked. Now, everyone’s smartphone makes him or her a potential news reporter. The coverage of events unfolding around us is a 24/7 phenomenon and nearly everyone has the requisite skills to shoot a short video. Recording an online message isn’t a daunting task. A date coach client recently mentioned a first date she’d had with a fellow whose voice in person grated like a fingernail on a chalkboard. Had a video been available she probably wouldn’t have accepted the date. Is a potential partner’s voice that important? It is for most seniors. Does a video feature put some members at a disadvantage? Perhaps, but for the majority it’s a real boon. Of course there will be some daters that won’t like this feature, but if most senior daters made videos, they’d be remiss not shooting one. Is it fair that a video feature would benefit some senior daters more than others? In truth, I don’t feel a video feature would harm anyone’s chances of success. Of course posting a video might cause a senior to shoot several versions before posting one to ensure he or she posts their best effort. I just don’t see any downside to posting a video along with a profile, particularly for men who are traditionally challenged to write a cogent profile. Based on years of writing about dating for seniors, I think some videos would be hilarious, a few would be serious, and most would succeed in portraying a senior dater in his or her best light. Some creative seniors might use background music and treat their videos like short films. Others might use artful lighting. I suppose the same percentage of seniors who find writing a decent profile difficult will find shooting their video challenging. But for the majority of senior daters the ability to post an appealing, intriguing, homemade video would be a blessing. Who wouldn’t want to star in their own short film? Certainly, no one with the courage to date online would object. I’m envisioning a once a year Senior Video Dating Awards program on YouTube featuring the best videos of the year. This new feature might just be the hottest gimmick since sliced bread. I can’t wait to watch the first posted videos, which will definitely be entertaining. And perhaps dating sites will add another new feature down the road showing videos made by couples who met online and fell in love. Put on your game faces. 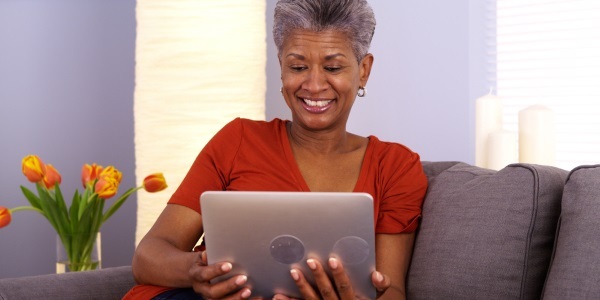 If you are looking for more information and advice on senior online dating, you should check out these helpful articles.